Starting October 29, WesJet will commence flying to Belize City from Toronto with great connections throughout Canada. Starting Oct. 29 WestJet will offer nonstop service from Toronto to Philip S. W. Goldson International Airport in Belize, the only Canadian carrier to do so. Flights depart Toronto at 9:15 a.m., arriving in Belize City at 11:59 a.m. Introductory fares start at $267.66 one-way, until Aug. 15. The flight’s departure time will allow guests to connect seamlessly from many cities across Canada to a destination known for its large Canadian ex-pat community, said Bob Cummings, WestJet Executive Vice-President, Commercial. “WestJet continues to respond to the needs of the communities we serve by delivering more choice, competition and lower fares to Canadian travellers,” he said. 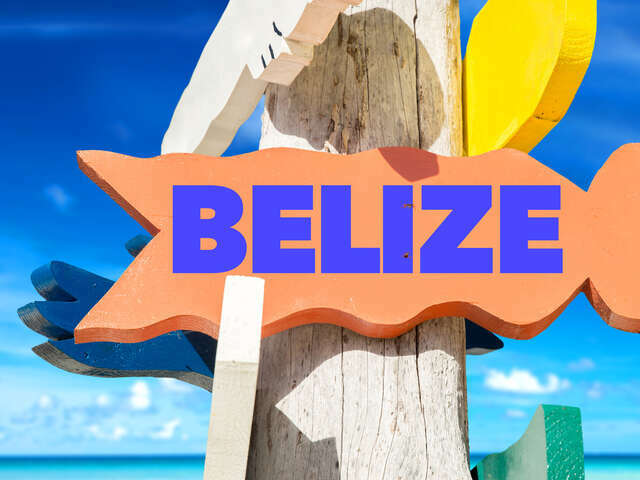 Karen Bevans, Director of Tourism for Belize, cheered the move, saying the new flight “will boost the demand for Canadian travel to our unique destination … this direct flight from Toronto to Belize City will encourage even more Canadians to venture south to our beautiful jewel,” she said. Canada is one of the strong source markets for tourist arrivals in Belize, she added. Earlier this month WestJet also began year-round, nonstop service between Calgary and John F. Kennedy International Airport in New York City. Both the Belize nonstop and the JFK nonstops come on the heels of WestJet’s recent winter schedule announcement of more than 85 new flights across its growing network.